The Department of Justice released a statement Thursday morning slamming new reporting from the New York Times and Washington Post. 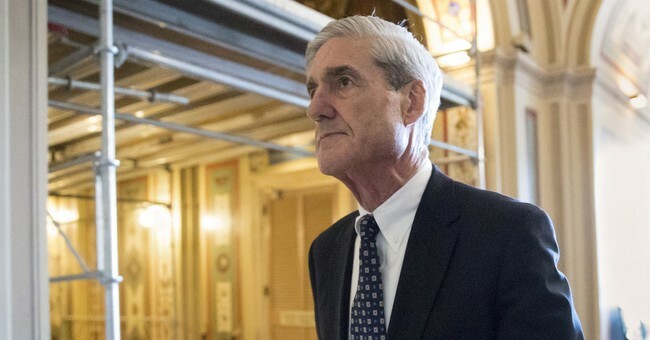 Both newspapers accuse Attorney General William Barr of mishandling the release of material in Robert Mueller's Special Counsel report, in addition to mischaracterizing the findings of the report in the four page summary released two weeks. ago. "Every page of the 'confidential report' provided to Attorney General Barr on March 22, 2019 was marked 'May Contain Material Protected Under Fed. R. Crim. P. 6(e)' - a law that protects confidential grand jury information - and therefore could not be publicly released," DOJ spokesperson Keri Kupec released in a statement. "Given the extraordinary public interest in the matter, the Attorney General decided to release the report's bottom-line findings and his conclusions immediately -- without attempting to summarize the report -- with the understanding that the report itself would be released after the redaction process." "As the Attorney General stated in his March 29th letter to Chairman Graham and Chairman Nadler, he does not believe the report should be released in 'serial or piecemeal fashion.' The Department continues to work with the Special Counsel on appropriate redactions to the report so that it can be released to Congress and the public," the statement continues. As a reminder, Special Counsel attorneys are working with Barr and Deputy Attorney General Rod Rosenstein on redacting material unable to be lawfully released. "As we have discussed, I share you desire to ensure that Congress and the public have the opportunity to read the Special Counsel's report. We are preparing the report for release, making the redactions that are required. The Special Counsel is assisting us with this process," Barr wrote in a letter to Nadler and Senate Judiciary Committee Chairman Lindsey Graham last week. "Our progress is such that I anticipate we will be in a position to released the report by mid-April, if not sooner. Although the President would have the right to assert executive privilege over certain parts of the report, he has stated publicly that he intends to defer to me and, accordingly, there are no plans to submit the report to the White House for a privilege review." According to the letter, "(1) material subject to Federal Rule of Criminal Procedure 6 (e) that by law cannot be made public; (2) material the intelligence community identifies as potentially compromising sensitive sources and methods; (3) material that could affect other ongoing matters, including those that the Special Counsel has referred to other Department offices; and (4) information that would unduly infringe on the personal privacy and reputational interests of peripheral third parties" will not be released. The Justice Department expects to release the report by mid-April. Barr will testify in front of the Senate and House Judiciary Committees on May 1 and 2. On Wednesday, House Judiciary Committee Chairman Jerry Nadler issued a subpoena pushing for DOJ to release the full, unredacted version of the report to Congress. This includes private and confidential grand jury information.